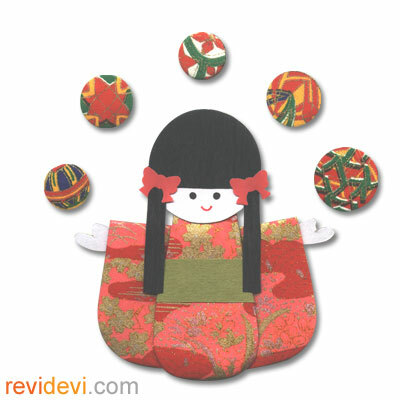 Sometimes I have those scrap washi (all in small size), and I feel bad to throw them away (cause washi paper is quiet expensive), so I make these small washi dolls. They are very easy to make, and I can finish them in short time. 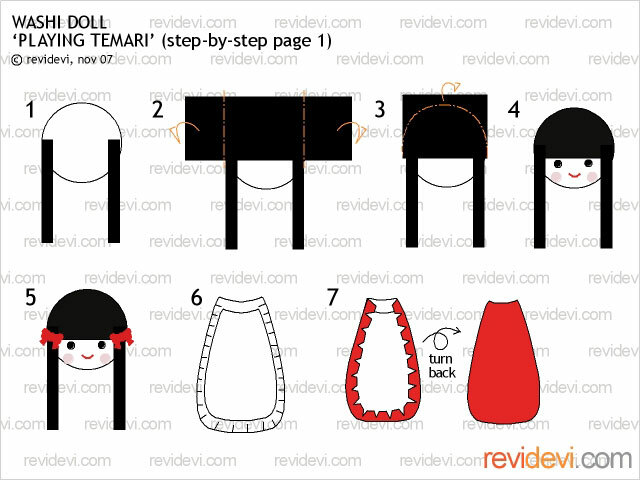 Now, you will need to prepare all the things to make the doll. 1. First, you will need to make a round shape with that black paper. The size is 7/8″. To make it easier, your can use 7/8″ round puncher. 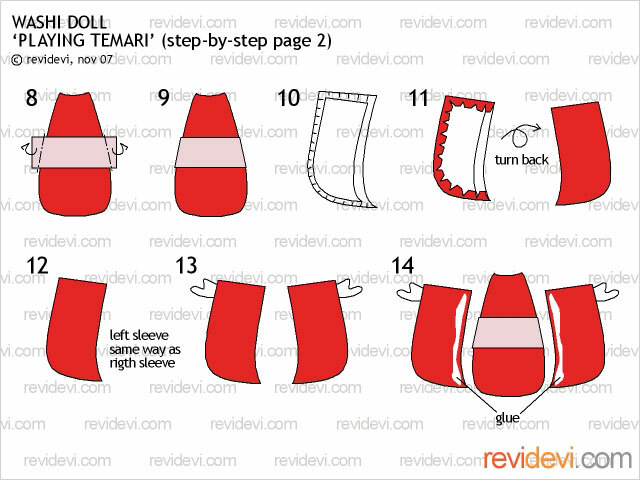 Then fold in half, and cut as illustrated. 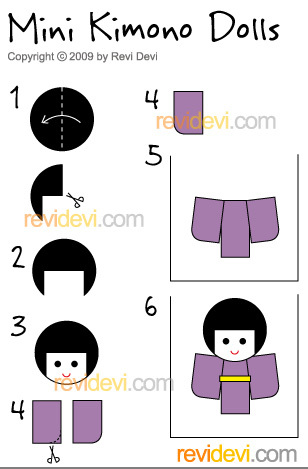 You can make your own hair style! It’s fun to do. 3. 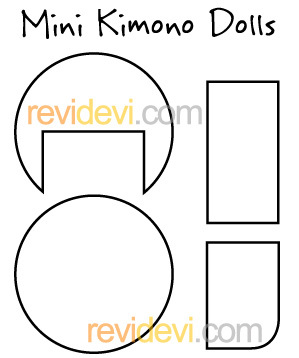 Make another 7/8″ circle with white paper. This will be for the head. Then, mount the hair onto the head. Draw a face! 4b. Take another sleeve. DO the same. 5. Take the body, then mount it onto the cardstock. Then, you can mount the sleeves. 6. Mount the head. 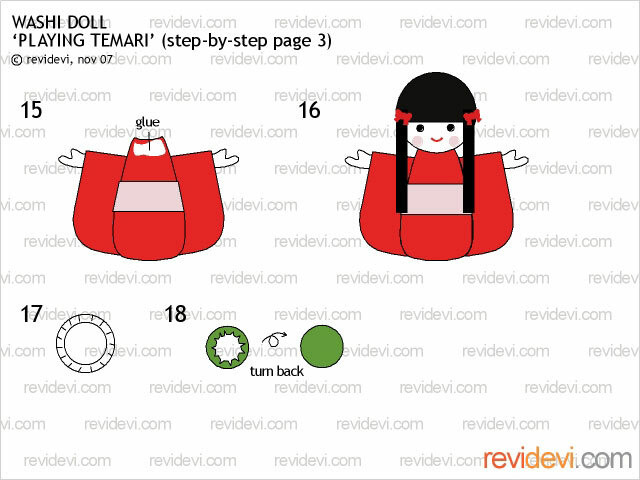 And then, you can put the obi (I use 2mm fabric ribbon). 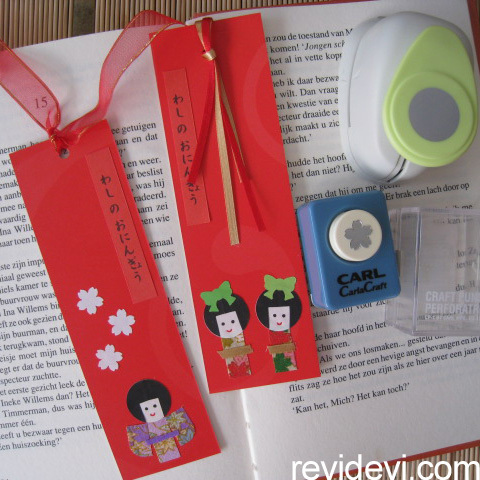 You can add some embellishment to the bookmark. I add some sakura (made this with sakura puncher). Hope you like your bookmark(s). See you again next time!